Just days after the sad death of Ian 'Lemmy' Kilmister, it's hard for me to dispassionately write about the man's music, let alone his life and legacy as Rock God and founding father of heavy metal. I'd come to genuinely love Motörhead in my years as a metalhead, first hearing Ace of Spades like everyone else and foolishly not following up on the band's many albums until years later. The band never put out a bad album, they never sold out, never toned it down; Lemmy remaining a beloved figure and a genuine icon to many of us. Others have written better obituaries than I can; Kim Kelly at Noisey and Dominic Selwood at The Spectator are both worth reading. As for his music, well, how can you review Motörhead in 2015, an incredible forty years after the band began? They were the very essence of rock, the foundation stone of metal, the nonstop, powerful roar of heavy music that speaks to the hearts of all of us, and they will continue to be remembered as giants for as long as metal exists. Rock 'N' Roll is by no means the band's best album – recorded in a rush after the success of Orgasmatron, and disparaged by Lemmy in his autobiography, it's often forgotten about. 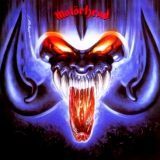 But it's by no means a bad album, contains a classic song or two, and shows that even Motörhead not at their best were a million miles ahead of everyone else. I chose it as a tribute review from the ever-decreasing field of unreviewed Motörhead because, well, look at that title! It sums the band up: rock 'n' roll, and although it's lacking the timeless power of Overkill it's still pretty heavy and still shows off Lemmy's songwriting skills – the man was a genius. The opening title track builds immediately into an infectious rocker, with some great soloing from Phil Campbell and Würzel, with the usual solid backup from Philthy Animal. Eat the Rich is a classic song, mixing food and sexual imagery with class warfare, Black Heart chugs along nicely, Stone Deaf in the USA is a typical 'tour' type song about how great rocking around the world is. There's a fun hidden track featuring Monty Python Michael Palin blessing the band, and after that things get a little heavier with the pounding duo of The Wolf and Traitor, and a crunchy bass-led stomper in the form of Dogs. Lemmy and Motörhead satisfied many souls, and will satisfy many more, even though they're no longer with us. RIP Lemmy, but long live his music.